Confession, I love cultural fusion! If you offered me a brisket taco with tahini guacamole 2 years ago, I would have snobbishly disregarded the offer and waited for you to hand me a proper Mexican taco with extra hot sauce. Now, in my wiser and (ahem) older years, I am excited to embrace culinary integration. 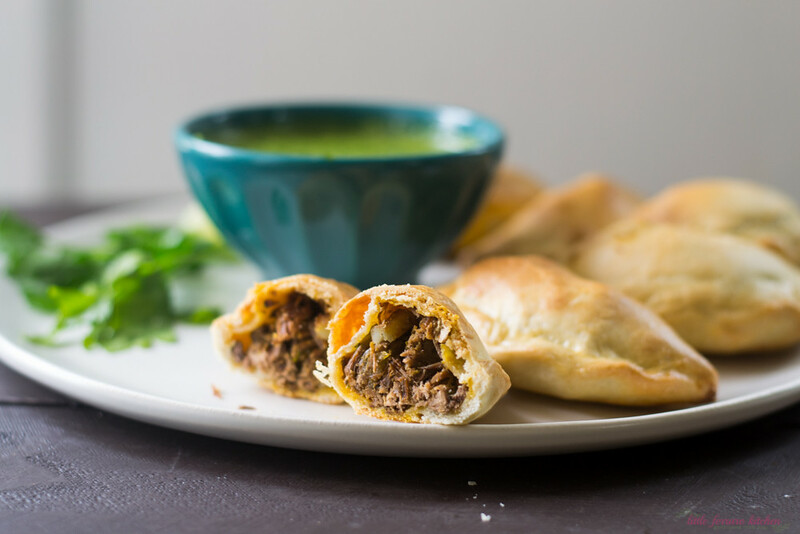 These brisket empanadas are the epitome of my diverse and collaborated background! 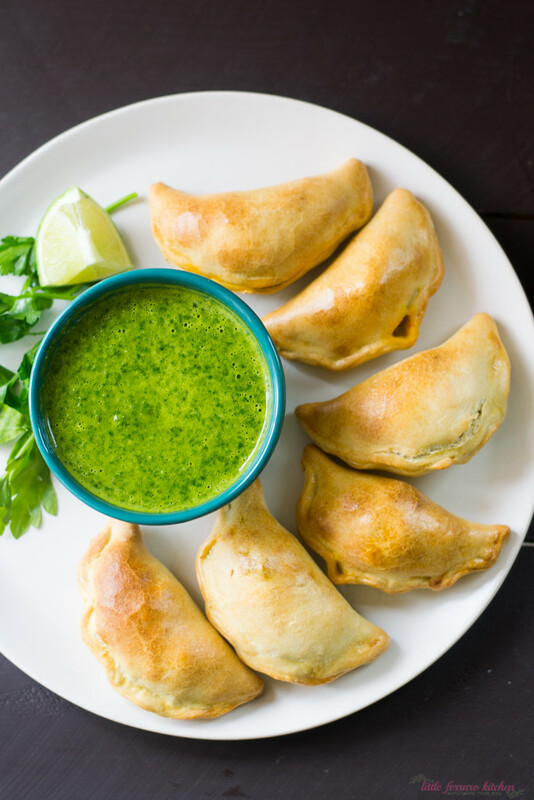 A simple empanada dough filled with leftover slow cooker brisket and spiced up with sazon and fresh cilantro. This is truly a blend of my Jewish background and Latin inspired food I am surrounded by now. How gorgeous is that filling? But I have to admit, the true gem is in the passion fruit chimichurri! If you know me and my blog, you know I am obsessed with lilikoi (passion fruit in Hawaiian) and since it’s not easily found on the mainland, many Latin markets carry passion fruit puree, which I “fake-out” to make gorgeous passion fruit concoctions. The taste is bright, tropical and a bit sour and is a gorgeous complement to the herby chimichurri sauce! 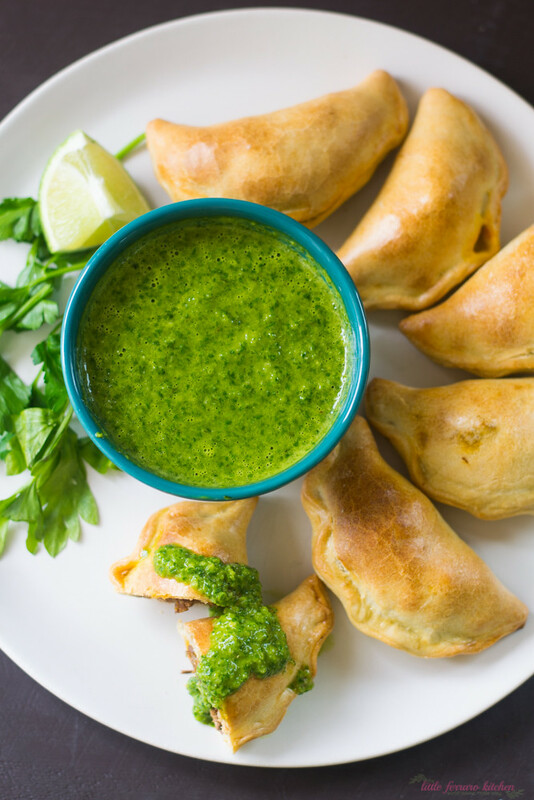 Check out the full recipe for this Cinco de Mayo treat HERE on The Nosher! 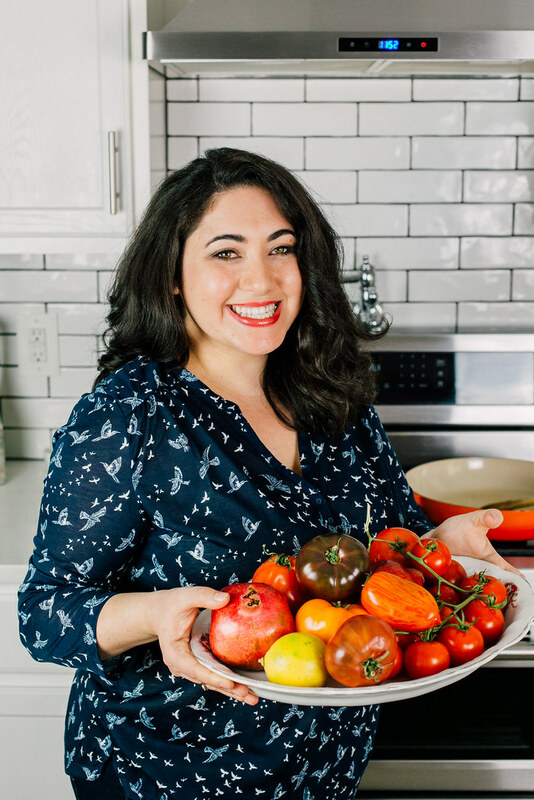 I love the idea of a fruity chimichurri — I’m sure it would be great on a steak too. Thank you!! Oh now that does sound good! !